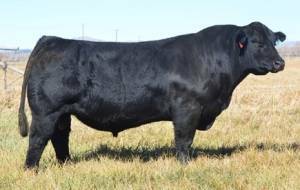 Utah is a 3/4 blood whom Yardley’s consider the best bull they’ve ever raised. Great style and profile! Moderate framed with a super cow family behind him.